Before I speak about the plot, the writing, or anything else, I have to give this warning: This book, the first one of a supposed trilogy, does not end on a cliffhanger. It ends in the middle of a scene. Nearly in the middle of a paragraph. It's as if the author just got tired of the story and stopped writing it. This was published in 2010, and her last book was published in 2013. Though her personal website is gone, other reviews of this book mention she's retired. If you start this book, you will not get a complete story. More than that: This book didn't read like a story at all, it was more like the prologue to one. While the worldbuilding was quite nice, nothing much happened in this book. The world was interesting: Set on some fantasy world, a second sentient species (pegasi, sort of) shared the planet with the humans. The main character, a young girl, had the ability to communicate with the pegasus people, something no one else could do. 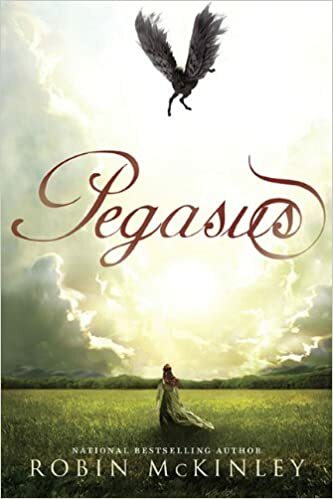 The book had some interesting sections, and I did enjoy the world, most of the story was just her thinking and talking to the pegasus she was bound to. That was interesting, sure, but man did the book drag since nothing much happened. It was only the last couple pages that a plot started to appear... only to have the book end nearly mid-paragraph. Currently reading: Benjamin Forrest and the School at the End of the World, which is like Harry Potter x1000, but not in a good way. Not sure if I'm going to stick with it or not.